I can't recall using the word "exquisite" to describe a piece that we have featured. However, in this case, I can't think of a better adjective. This exceptional cabinet was designed by legendary designer and decorator Mario Buatta for Widdicomb Furniture. 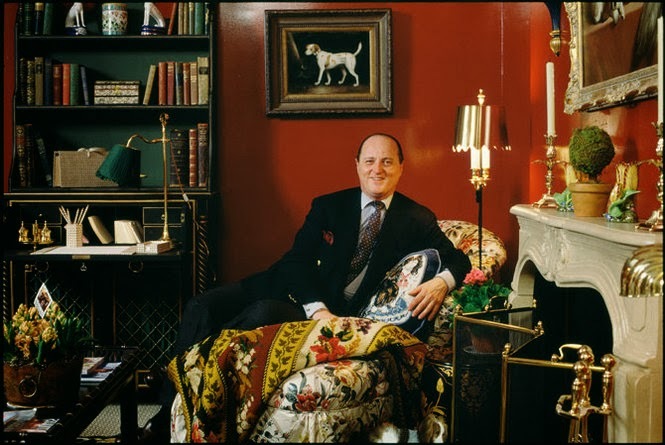 Over the past few decades, Mario Buatta's clients have included Barbara Walters, Malcolm Forbes, Henry Ford II, and a commission to redesign Blair House in Washington, D.C.